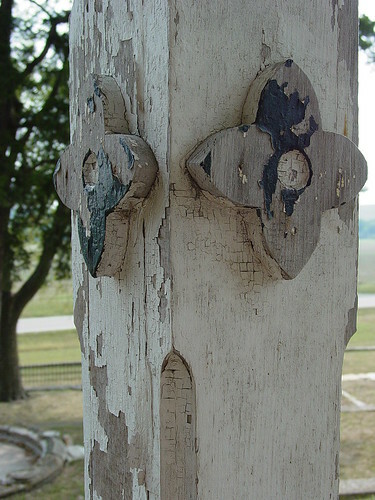 below: I like the detail and worn paint texture on the porch railing on the ranch house. 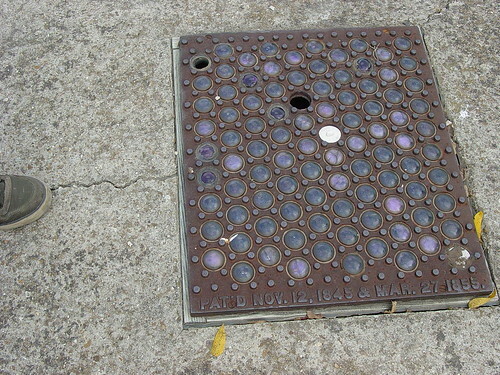 below: This is a skylight with purple glass that sheds light into the cellar below. On Monday we took a scenic byway while driving to visit family and on the return trip we stopped at the Tallgrass Prairie Preserve. I took a polaroid of the old schoolhouse, seen in yesterday's post, and some pictures of the landscape and buildings. The barn is so interesting. Apparently all these stone buildings were built in one year and so many people worked to build them that people passing through mistook it for a nearby town. It was built by a man named Stephen Jones (of no known relation to us!) and they had vineyards and cattle on the land. 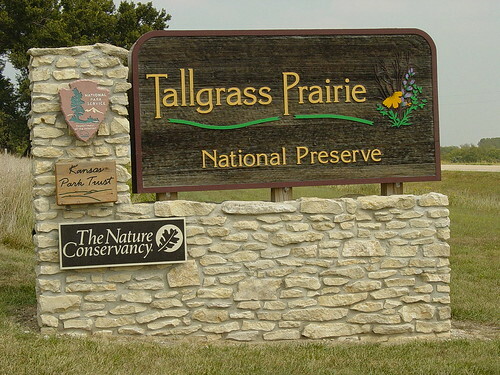 The 10,861 acre Tallgrass Prairie Preserve protects a nationally significant example of the once vast tallgrass ecosystem. 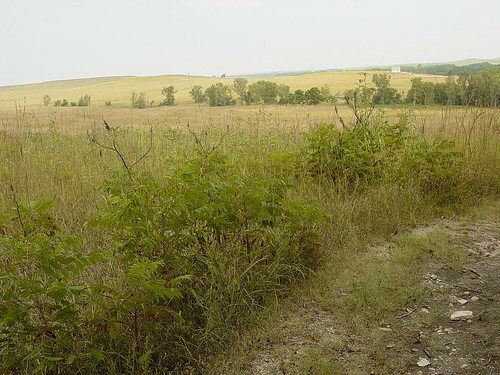 Of the 400,000 square miles of tallgrass prairie that once covered the North American Continent, less than 4 percent remains, primarily in the Flint Hills of Kansas. 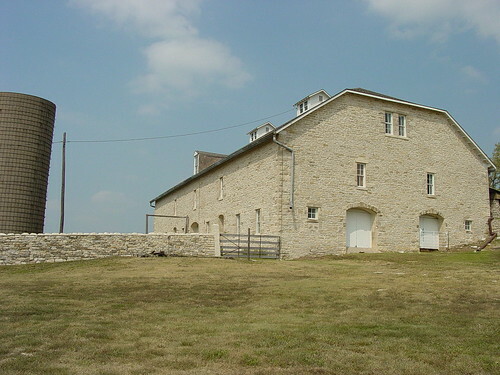 Approximately 32 acres belong to the National Park Service including the 1881 historic ranch house, limestone barn and outbuildings, and one-room schoolhouse. Here's another interesting and beautiful site (thanks to a comment from a blogger) about the Flint Hills and information for visiting the area. And here's a picture of the ranch house, since I didn't take one! 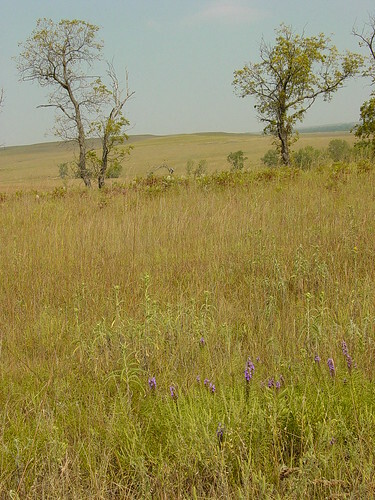 And here's a link to a National Geographic article on the Kansas prairie from the April 2007 issue.